Quickie Christmas Cookie Makeover: Olive Oil Cutout Cookies—Two Ways! / Hey, EEP! Quickie Christmas Cookie Makeover: Olive Oil Cutout Cookies—Two Ways! 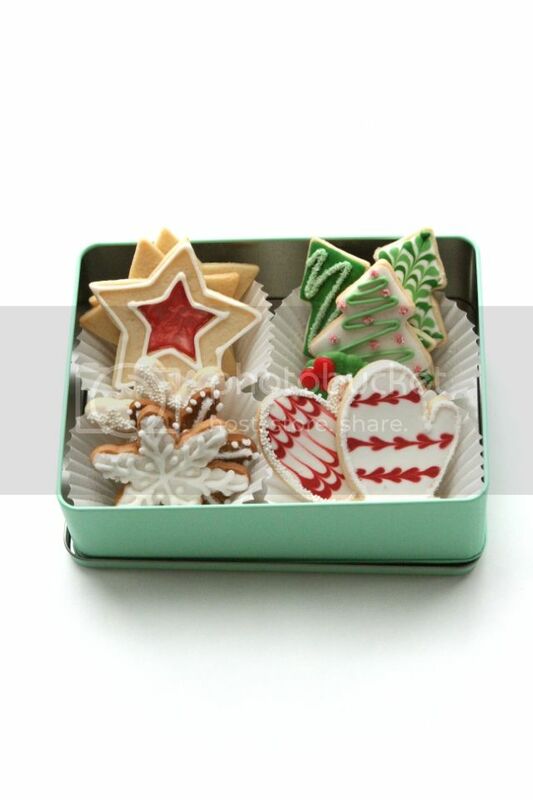 Looking to shake up your sugar cookies this Christmas? I have just the thing for you! My co-cook at Good Housekeeping, Sherry, developed these Olive Oil Cutouts for the December '13 issue and I've been craving/making them ever since. You see, she uses butter and olive oil to give her cookies a modern edge—which I love! The olive oil flavor is subtle, so don't worry about these cookies tasting like salad dressing. In fact, they're just as sweet and delicious as classic sugar cookies...they're just a little more sophisticated. Bonus! You can make two different cookies using this one easy dough: Frosted Cutouts and/or Stained Glass Stars. 2. Whisk the flour, baking powder and salt in a large bowl; set aside.